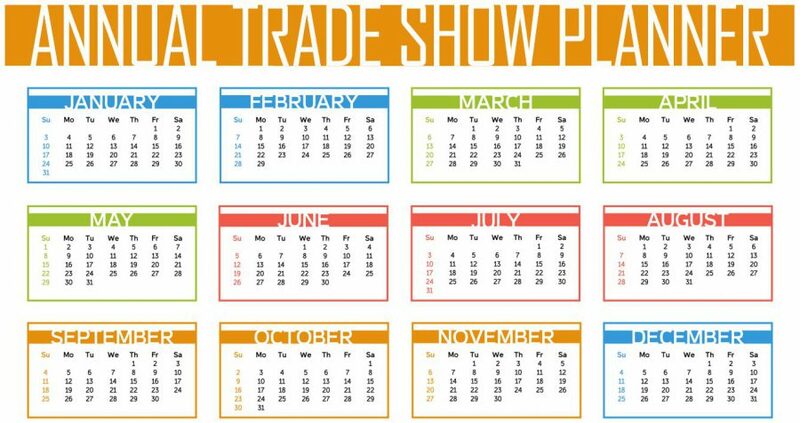 Recently SocialPoint added annual pricing to our interactive trade show games. We realized that there are 4 common situations where an annual plan makes better sense, because it lowers costs and eases workloads. Because getting a SocialPoint trade show game customized for your first event is the most labor-intensive, your first event costs the most. Upgrading from the First Event price to an Annual Plan (with the same configuration) costs an additional $3,000. So, you get an even better value if you expect to use the same game configuration at 4 or more events. Every show beyond that is free. You can lower your cost per show substantially as you keep using the game at more events. Exhibitor Magazine says the average exhibitor does 44 shows a year, while Skyline Exhibits says 18. Either way, that’s a lot of shows, just for the average. And what if you are above average? At ExhibitorLive 2018, we talked to dozens of exhibitors who said they do 50, 100, and even a few who do over 200 shows a year. With such a large show schedule, there will certainly be subsets of shows in your schedule large enough to use the same game configuration 5 times or more a year. You bought our interactive game for your show, enjoying the smooth experience of customizing and training to use the game. At the trade show you experienced the substantial increase in booth traffic, fun engagement, and leads at your show. You saw the export of so many leads and shared with your team the graphic and data analytics that documented your success. These are good things worth repeating! And since you’ve already paid for your first event, you only have to pay an additional $3,000 to upgrade to the annual plan. There’s no need to reinvent the (Prize) wheel! Most likely, you lack enough time to devise, research, price, buy, set-up, train, and execute a new promotion for every show. It makes it a lot easier to have a known quantity as part of your trade show routine. Not only does it make life easier for you, but every time you use our game again, you get even better at maximizing your impact and engagement. Getting more booth traffic, leads, and contact data is excellent. Getting all of that at a lower cost per show and with less effort on your part, even better! If you find these situations apply to you, contact us about getting an annual plan on a new or already implemented SocialPoint trade show game.